Can I still walk with my classmates at the end of my Senior Year, if I participate in a transition plan? Students often ask the question “If I participate in a transition plan between the age of 18-21, does that mean I can still walk with my classmates at the end of my senior, or fourth, year?” The answer is a resounding YES!! In 2005 State Legislation passed Engrossed Substitute Senate Bill 5450 – “Kevin’s Law”. 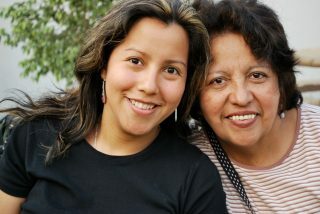 This law insures that young people who have been enrolled in high school can attend and participate in graduation ceremonies with their peers, even if they will continue at the school with services to age 21. The law does not guarantee that a student will be able to attend school until age 21, as that is determined as part of the IEP at age 16. This law states that a student with an IEP and who has a plan in their IEP that includes attending school until age 21 may walk in the graduation ceremony with students of his or her own age. More info? Ask us! Fill out our Get Help form and find out how we can help you! 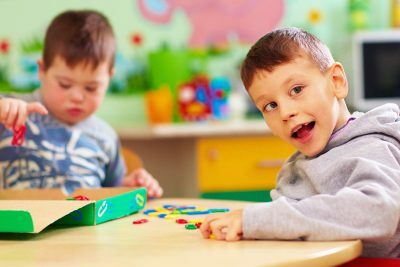 The purpose of IDEA is to ensure that all children with disabilities have available to them a Free Appropriate Public Education (FAPE) that emphasizes special education and related services designed to meet their unique needs and prepare them for further education, employment and independent living. (e) If appropriate, acquisition of daily living skills and provision of a functional vocational evaluation. (b)Transition services for students eligible for special education may be special education, if provided as specially designed instruction, or a related service, if required to assist a student eligible for special education to benefit from special education. *Note that the only difference between IDEA and WAC is the term child with a disability vs. student eligible for special education. In layman terms what does it all mean? In general, transition is a set of goals, objectives and services that layout a plan of action that address the skills necessary for the students success upon graduation and beyond, i.e. : post-secondary education, life skills, financial, graduation, transportation, vocational, housing, employment, etc. When are transition services required to be on the students IEP? IDEA 300.320/WAC 392-172A-03090(J) state that transition services are required to begin not later than the first IEP to be in effect when the student turns 16, or younger if the IEP team determines it to be appropriate. Why should a student’s IEP focus on transition? Transition goals focus on a particular course of study and a coordinated set of activities that enable a student to meet graduation requirements. This makes for a productive fulfilling high school experience that prepares the student for options and opportunities after high school. What do you do to get prepared for transition? 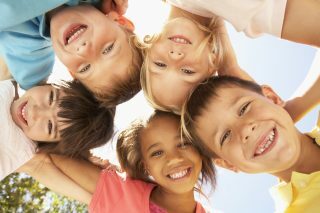 What are my child’s dreams? What are my dreams for my child? *See the transition checklist, self-determination planning and high school plan in the back of this packet for more information. What is involved in a Functional Vocational Evaluation? (FVE)? A FVE has many different components that can be used. Typically teachers will conduct a student interest inventory. This helps narrow a student’s interest in a particular career related area. Students, parents and teachers will either, in writing or orally, address strengths and areas of needs that the student has. Observations should be conducted to see the student’s behavior and learning styles in different settings. In addition there is a large variety of formal assessments that the school can conduct such as the COMPASS, the CAPS, the DAT, etc. Ask your team what assessment tools would be appropriate for your student and why they were recommended. Who should be on the IEP team regarding transition? The same participants of any IEP should be in attendance (parents, general education teacher, special education teacher, a school representative who is knowledgeable about available resources, a person who can interpret evaluations, other agencies that have knowledge of the student, and the student must be invited to the IEP meeting when discussing transition). 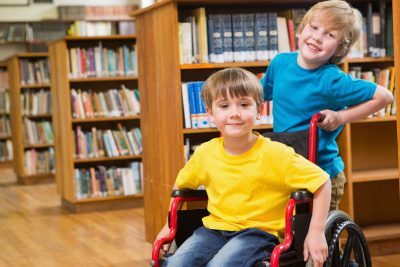 It is also appropriate for outside agencies such as Division of Developmental Disabilities (DDD), division of Vocational Rehabilitation (DVR), a Disability Coordinator from a local college, or other professionals that may be able to assist in meeting the student’s needs. What is required to be on the IEP regarding transition? Appropriate measurable post secondary goals based upon age appropriate transition assessments related to training, education, employment, and when appropriate independent living skills and a specific course of study to assist the student in reaching goals and in the transfer of rights at age of majority. What is an appropriate measurable post secondary goal? From this, the course of study and coordinated set of activities, you can write the goal(s). The goal(s) should clearly describe the desired post-school outcomes on the student’s IEP and link the student’s needs. Preferences and interests, along with the services, supports and resources needed by the student to make the most out of the high school experience and the desired post-school outcomes should guide the entire IEP and educational program for the student. Do I need to have goals and objectives on a transition IEP? Goal: Perform the required job skills necessary to work in the student store. Objective 2: Tony will utilize his current level (3rd grade) math skills, with use of a calculator to appropriately add purchases with 80% accuracy. Objective 3: Tony will appropriately take money and give the correct amount of change 3 out of 5 times without assistance, only monitoring. Goal: Will utilize communication device to appropriately get daily needs met. Objective 1: When asked “what do you need” in a variety of daily living settings, Susan will appropriately select a response from her communication device 3 out 5 times over the period of 1 month. Objective 2: When the teacher/staff member do not immediately respond, Susan will remain calm and re-state her need 3 out of 5 times over the next 2 months. Does that mean that once my student turns 18 years old, I am not involved in the IEP? No, you can be invited by your student, or you could enact the special rule under federal law 300.520. This states that a student who has turned 18 years old and has not been declared incompetent can be determined to not have the ability to provide informed consent with respect to the child’s educational program. Thus the public agency must appoint someone to ensure appropriate representation. Self determination is the attitudes, abilities and skills that lead people to define goals for themselves and to take the initiative to reach these goals. Why is Self Determination Important? Self determination is about making choices and learning from those choices. It’s about knowing yourself, your strengths and weakness and having the ability to communicate those in a positive manner which in turn promotes growth of a person. Students need to know themselves and how to effectively communicate to others their abilities and needs. This is a skill that a person needs to learn and have modeled for him/her over a period of time to successfully master this important life skill. *See the self determination chart in the back of the packet for ways to promote self determination. Under No Child Left Behind (NCLB) the Federal government determined that all children regardless of disability, limited English language abilities, ethnic background, or economic status have a fair, equal, and significant opportunity to obtain a high-quality education and reach, at a minimum, state mandated proficiency levels in the area of reading, writing, math and social studies. In 2000 the Washington State Board of Education approved four new statewide graduation requirements to ensure compliance with NCLB. Read with comprehension, Write with skill, and Communicate effectively and responsibly in a variety of ways and settings. Know and Apply the CORE concepts and principles of mathematics; social, physical and life sciences; civics and history; geography; the arts; and health and fitness. Think Analytically, Logically and Creatively, and integrate experience and knowledge to form reasoned judgments and solve problems. Understand the importance of work and how performance, effort and decisions directly affect future career and educational opportunities. You need to check with your school district regarding their graduation requirements. All public schools within Washington State have to meet at least the State standard, but most have a higher level of requirements that students must meet in order to graduate. Below is the State class and credit requirement. You can fill in your school district’s required credits. High School and Beyond Plan: This is a plan on how the student will meet graduation requirements and their goals for after high school. *For a student receiving special education, this could come from the transition section on the IEP. Credit Requirements: A schedule of approved classes that would meet all of the above course requirements that then meet credit requirements. *For a student receiving special education this could come from the transition section on the IEP (course of study). Complete a Culminating Project: This project is intended to assist students in understanding the connection between school and the real world. There are several different ways in which students can meet this requirement. *For a student receiving special education this could come from the transition section on the IEP (coordinated set of activities). Earn a Certificate of Academic Achievement (CAA) or Certificate of Individual Achievement (CIA): This is a certificate that shows that a student has mastered a minimum set of skills that the State has determined appropriate and is demonstrated by the State Standard Assessment. In Washington State this is known as the High School Proficiency Exam (HSPE). To earn a CAA a student must pass the HSPE with/without accommodations. To earn a CIA a student receiving special education must pass the HSPE with modifications or portfolio. What or who determines how my student, who receives special education, graduates? Can the school wave credits or give pass/fail grades? Yes to both. Schools have the ability to substitute class credits such as a subject taught in a resource room class vs. a subject taught in a general education class. Schools can also give a pass/fail grade vs. a letter grade. Be careful with pass/fail grades because they get no points towards students’ Grade Point Average (GPA); they will only get a credit. Both methods need to be addressed in the IEP meeting when doing transition planning. It is important to know where the student wants to go after school so that they meet all the requirements needed to continue to pursue their after high school goals. Will my student with a disability have the option to get a regular diploma? Yes, it is the school’s, parent’s and student’s responsibility to make sure that the student has an array of options available in order to meet local and State standards. The student’s transcript is the only place where it would show the course of study the student took in order to meet that standard. An example of what would show on a transcript would be the CAA or the CIA. 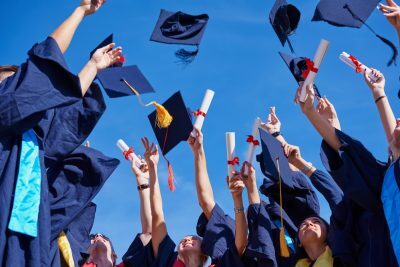 Can my student with a disability participate in the graduation ceremony with his/her class and still go back to school the next year? 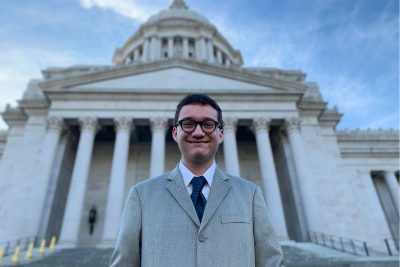 Yes, in Washington State a student in special education who has not yet met his/her IEP goals would still be able to go through the graduation ceremony. The student can come back to school the following year to complete IEP goals. Usually this is related to the transition plan of the IEP. Make sure that this is discussed at the IEP meetings so everyone clearly understands. I have a student who is not in special education but is on a Section 504. Is this student eligible to earn a CIA? No, students on 504 plans must take the HSPE with or without accommodations; they must earn a CAA. Talk with your 504 team to determine the options available to meet this requirement.